1 Year Anniversary of Kingdom Hearts III! It’s been a wild year for Kingdom Hearts fans across the globe. Almost one year ago Kingdom Hearts III shocked audiences everywhere with a surprise announcement at the Electronic Entertainment Expo (E3). Since then, bits and pieces have been revealed about the plot of Kingdom Hearts III, where the characters are now, and new gameplay features. Let’s recap this last year as we lead up to E3. The Sony conference started as any other. About halfway through the conference a video started to play and Tetsuya Nomura appeared on screen and started talking about Final Fantasy XV. After the trailer had finished playing Tetsuya Nomura came back onto the screen and announced that Kingdom Hearts III had officially been announced for Playstation 4 and Xbox One. The next day, Square Enix held a Future of Final Fantasy conference where they discussed Kingdom Hearts III in a bit more detail. During this conference, they announced that Sora will be more mature than he had been in previous games. 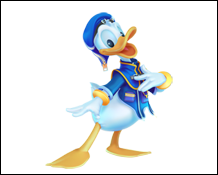 Donald, Goofy, and Mickey, who were absent in the announcement trailer, will be featured and there will be brand new Disney worlds. A lot more information was revealed over the next few days from interviews with Nomura and his team. While it was said that the game was announced too early, they were still excited to share a number of ideas they were currently testing. 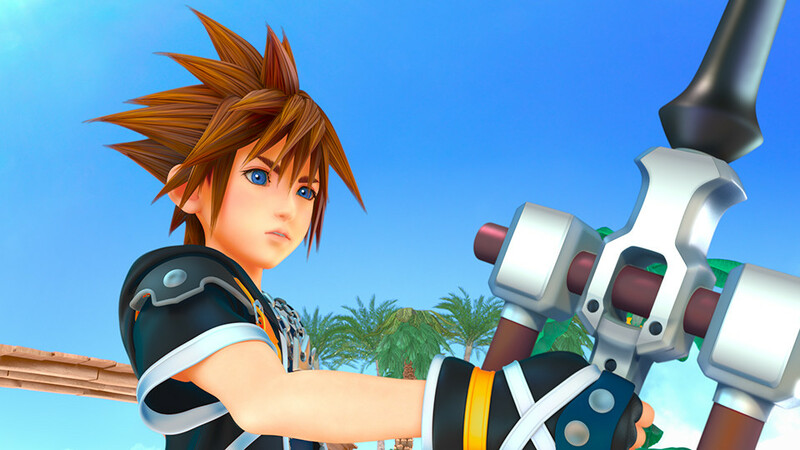 In October of 2013, Kingdom Hearts III made a second official appearance this time showcasing more of the gameplay and abilities Sora will possess. This trailer revealed Sora will be able to manipulate his weapons, changing them into guns and other objects, just like what the three protagonists of Birth by Sleep could do. Another major reveal was the ability to summon boats and trains in order to scale large enemies and take them down. 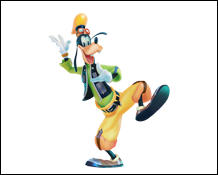 This will surely be a major factor into the new gameplay of Kingdom Hearts III. Months went by without a word on Kingdom Hearts III. 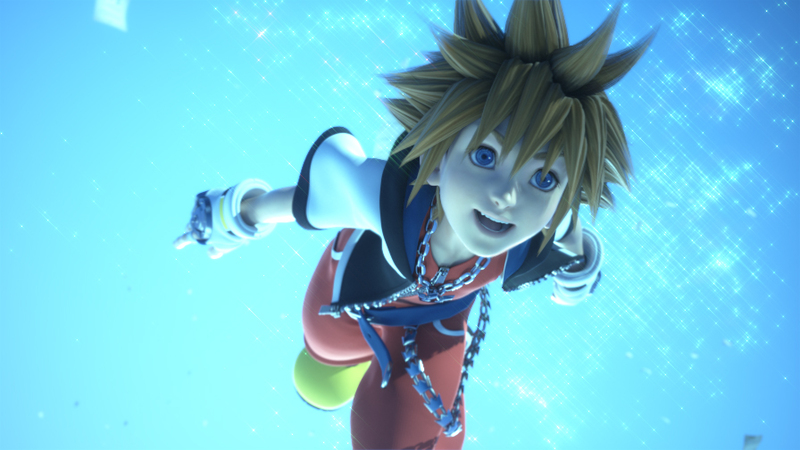 On the 9th of January 2014 Zap2it asked Haley Joel Osment, the voice of Sora, about Kingdom Hearts III. And now we’re almost at the one year anniversary of the announcement of Kingdom Hearts III. Many fans are hoping that Kingdom Hearts III will be shown at either the Sony or Microsoft conference, while many others will be content with celebrating the anniversary of a game they’ve yearned many years for. Kingdom Hearts Insider will be at E3 this year. You can Tweet questions to us at KHInsider on Twitter or follow us on Tumblr and Facebook for all the latest E3 and Kingdom Hearts news. I apologise for the way I pronounced "Tetsuya Nomura". I like the editing skillz. What're some other things that weren't included here? Let me think.. There was the comment about microphone interaction with the AI partners..
Nomura said at one point that he's making destructible environments that can be picked up by enemies.. It'll be good to see if any news at E3 lives up to this stuff. I'm not gonna make people listen to me! I sound like a dork! Honestly, I'm not expecting much from E3 as far as KH3 goes. The emphasis is going to be on 2.5 (or at least it SHOULD be) and I'm sure the game is still a far ways away from completion. Frankly, I won't if surprised be KH3 is a complete no-show at E3. It's Square, so no one will be surprised if we don't see it. But the emphasis shouldn't be on KH 2.5, far from it - at least not if we are talking about big announcements and stage demos. Square will look even more ridiculous than they do now if they show a 7-year-old game after something like the Order. They should have been shown more before E3. Remasters have no business at E3 at all for that matter. Honestly, I'm not expecting much from E3 as far as KH3 goes. Any info on KH3 would make me worry that they are rushing it, I don't want rushing. Actually some info is good (progression, ideas, renders), nothing is bad. Some means that the overall development is progressing nicely and they haven't hit a snag like they did with XV. Plus, they have a TON of things to try, do, update and then communicate to us. In reality we've seen close to nothing about this game. All we have are vague scenario and gameplay ideas that could change at any minute. What? Of course the emphasis should be on 2.5. KH has a much wider audience in North America than it does in Japan so it absolutely belongs at E3 regardless of if it's a new title or a remastered edition of older games. Even more than that, the game that is actually coming out next should have more emphasis than a game that was prematurely announced. How is it wasting time? We've seen close to nothing because there was close to nothing done for it when they showed it last year. Nomura himself said that it was announced too early because he and his main team would still be working on XV and wouldn't be joining the KH3 team until they were done. This leaves Osaka to start up, which means it's definitely in good hands, but Nomura still has to oversee the project and divide his time. Don't expect KH3 to be far along enough for them to show you anything that you're hoping for. At best I would expect another snippet like we've seen thus far and nothing of the actual in game renders. It's a huge waste of time because there's nothing to show. KH2 footage? BBS footage? Cutscenes from Coded? Nobody cares. E3 is an expo meant to show off something NEW. There's absolutely nothing new about 2.5.. It's just a waste of conference time. If they talk about it in interviews, sure, that's great, but not DURING the conference. Sony handled it perfectly at E3 2013, KHIII trailer with a little 1.5 info at the end. I THINK the same will happen this year, but with 2.5 at the end of a new trailer.. I could be horribly wrong, but I'm sure they wouldn't spend time talking about 2.5 or showing it off. It is going to be NEW to a lot of people though. Most people have literally no experience with BBS or Coded OR the Final Mix content in KH2, which is the most important FM content to any installment. You may not care but you're not going to be their target audience if they showcase 2.5, which with all of the screens finally surfacing online just weeks before E3 suggests that they absolutely will showcase it in some form. Also, 1.5 was present all over the show floor at E3 2013 so there was far more exposure for it then you're thinking there was. No one is asking for a huge announcement for 2.5, a release date and English trailer would be optimal with a playable demo on the floor. But it's silly to pretend this isn't the perfect place for 2.5 considering the fanbase here. As I said, it would be ridiculous to show a game, not only 7 years only (and that's for final mix), but also 2 generations past. they'd be wise to show it at their own conference (didn't they do something similar last year?). unless of course both collections come out on the ps4 (hopefully with 3D) and they tie it all in to 3 somehow. That would be acceptable. I'm hoping for very basic stuff, nothing extreme. "A snippet like we've seen thus far" includes renders of some of the main cast, and that's what ai am expecting mostly. 1.5 had a fairly big presence last year so I would expect the same from 2.5. Once again I will say that it's not ridiculous considering the audience for KH here. That might happen after KH3 is out and they do a final "Xehanort" collection which would be a smart marketing strategy but I wouldn't expect anything until after then. And I still think you're expecting too much. If we get anything like that, fantastic. But I doubt we'll see more than a demo trailer if we even get that. The game was announced too early. It's been a year already? Man, time flies. How did ya'll react when you first heard the announcement? I remember first seeing the trailer on Cheezburger. At first I was thinking "Yeah right, ha ha." Then I watched it. It took me about the very end when I realized it was real. Then HYPE! Yes but that doesn't cover the "we need everyone to play the previous games before kh3" plan. A "complete collection" makes sense after kh3 yes, but what I'm saying is KH remixes + 3d for the ps4 are the best way to ensure that the saga is available to all. Well we got more than that last year and it was earlier in development. Yeah but that doesnt mean we will or should this year. 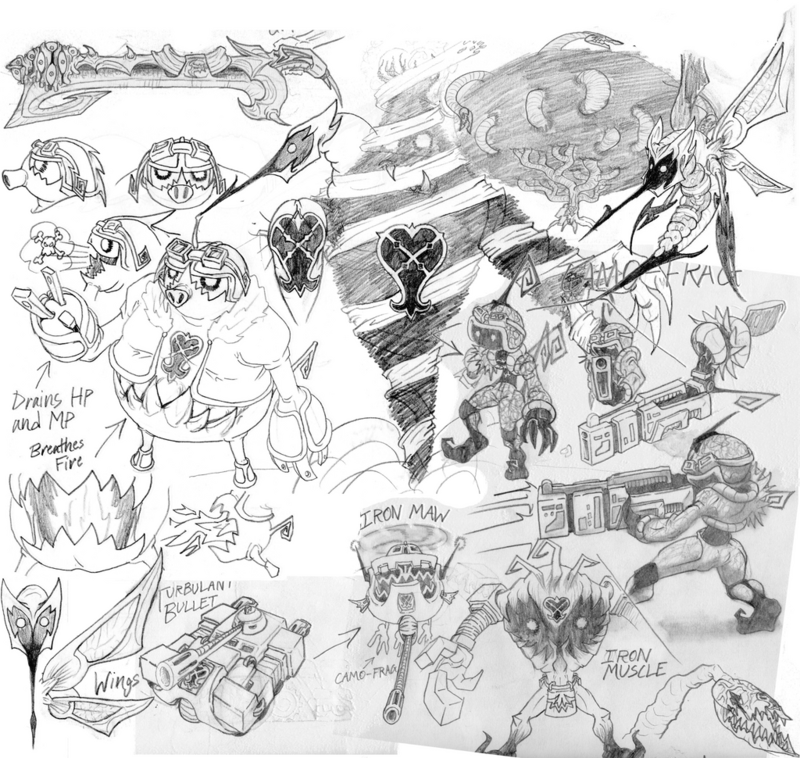 Nomura pointed out last time it was very early in development and if I remember right he wasnt the one who decided or seemingly wanted to show it. Taochan is right in that your expecting to much. Exactly, it was too much and now fans are gonna expect it every year just like they did Versus 13\FF15. And if the latter has showed us anything it's that we dont get something every year after something is revealed. I fear the constant expectation thanks to last year will cause a bit of rushing. We've waited this long now, a little more won't hurt anyone. I'm more excited for 2.5 than 3, yes I want to play it, but 2.5 has all the FM stuff I never played before, plus I'll have six games (1, COM, Days, 2, BBS, and Re Coded) in one console before I jump to PS4. But whatever little info we get for 3 I'll be happy. I don't want a rushed game, no one does. Just throwing in a reminder that unlike Versus/XV, KH is owned by Disney, and there's no way in hell they'll tolerate years of no-shows and excuses. This is no guarantee that we'll be seeing it year-after-year at every event, but you can't continue to apply the two projects any longer as they are under very different circumstances. I only used it as an example of something expected but not shown as hoped because it's the best example of it. I know next to nothing about its excuses or ownerships other than both are made by SE because I dont keep track of such things nor really have the interest (or understanding really) to keep track of industry stuff so those was far from a factor in my statement. There are other such things revealed but not shown every year so like you said it's still no guarantee. Kingdom Hearts 2 with added FM content, Birth by Sleep for the first time on consoles with added FM content, the cutscenes of Re:Coded redone from scratch along with added scenes tying into KH3D and KH3 ... And it's somehow not worth showing on E3? Did you even see last year's E3 where they gave a lot of focus on 1.5 ReMIX? Not only are these HD remasters highly anticipated, they're also extremely important to both SE and Disney, considering that they're a brilliant way to bring us the majority of the games remastered in HD on a single console. Oh and what about added content? What if we're getting Mirage Arena with online multiplayer via PSN? Is all this somehow NOT worth showing at E3? Come on guys, this company gets scolded at for featuring AAA games from Eidos while showing nothing from the KH front. A brilliant HD remaster like this is to me, and a lot of people out there, more exciting than many other next gen titles out there. I don't see how this is hard to explain. Not everybody cares about Kingdom Hearts like we do. A few new bosses in KH2 or the Mirage Arena having new fights in BBS might be impressive to us, but an E3 conference will fall asleep. The games are old news. They're not even upgraded too much visually... We'll notice the differences, but that doesn't matter. No doubt we'll get info on 2.5 during E3.. But I'll be surprised if it's during the conference as opposed to KHIII. This is the first E3 of the new generation, and there's only so much time in a conference.. A PS2 game would be scoffed at, and with good reason. 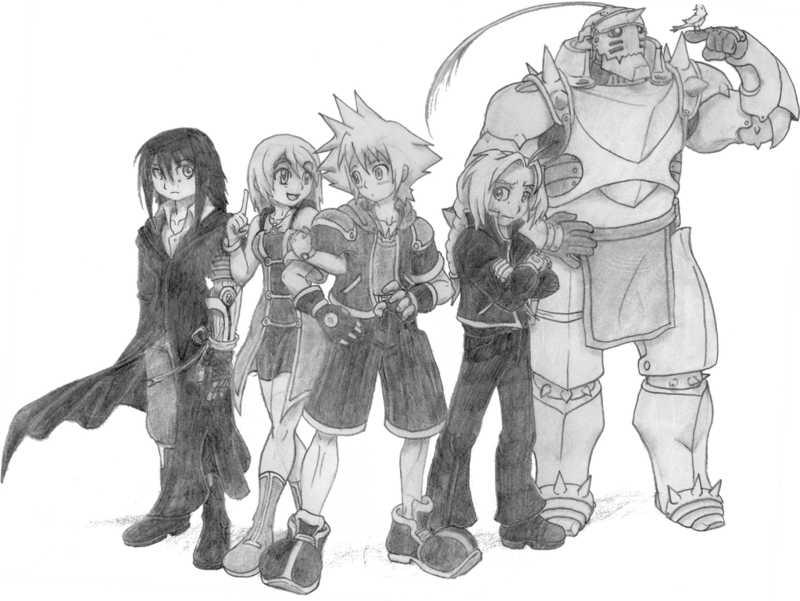 I look forward to seeing Sora in a party with Kairi, Xion, and even some former Organization Members. He'll need all the help he can get if he's facing Xehanort one last time. I don't think anybody's been referring to the press conference here. E3 encompasses an entire week of games, and that's usually where HD collections shine. Are you still arguing against them showcasing 2.5 like that? Is that still somehow NOT worth showing and letting journalists play? Having 2.5 on the showfloor is perfectly fine! I was under the impression that people wanted 2.5 during the conference. Apologies for any confusion. Somewhere in this thread, the press conferences and the actual event merged together and a whole lot of confusion happened. I don't think anyone really expects 2.5 to be present in the Sony press conference. 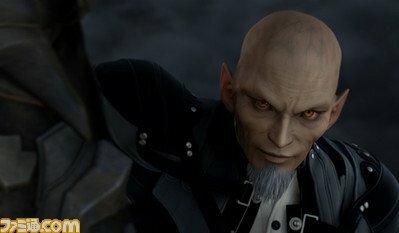 If, by some miracle, there is a new KH3 trailer, there will probably be another brief advertisement at the end of it like last year, but that's it. 2.5 will, however, be present on the showfloor at the Square Enix, Disney and Sony booths in both trailer and demo form, just like last year. Yeah, I could see how the site staff were talking about showcasing 2.5 on the floor and the other people were talking about the conference and it was just a mess. Honestly, my intention with this video wasn't to make people judge whether or not KH3 will be at E3 this year, but to celebrate the anniversary of the announcement of one of the most anticipated KH games. Chaser, your video was great and we're a bunch of hooligans to have messed it up! Sorry! Sony handled it perfectly at E3 2013, KHIII trailer with a little 1.5 info at the end. I THINK the same will happen this year, but with 2.5 at the end of a new trailer. Problem with that, though. By the time E3 had arrived last year, we already knew the release date of 1.5, and the Limited Edition and all had already been revealed. All the surprises for 1.5 were out of the box. So, there wasn't much to show off other than simply talking about what to expect, which they were smart enough to leave out of the press conference. This is not the case with 2.5. Yes, it's a remaster. But we don't know when it's coming out or anything like that. They have secrets to reveal. Plus, remember that not only are we dealing with Kingdom Hearts 2, which is arguably the most popular entry in the series thus far and the most appealing and nostalgic game for casual KH fans, but it's Final Mix, which everyone was pissed about not coming stateside for YEARS. And now it finally is, in 1080p nonetheless. And it's bundled alongside ANOTHER Final Mix, also in HD. So, the tides have changed. 2.5 packs far more heat than 1.5 and we know very little about it still. E3 is most definitely the time to blow the lid on everything for 2.5, considering the high possibility that 3 doesn't have much to show right now. A few sad people were also confused by the advertisement for 1.5 at the end and thought it was for KH3 still. Anyway, great video! I have all the final mixes and I'm still excited for 2.5. As for KH3, I don't expect a huge amount of anything new, but I don't expect it to be absent like XV was for so long. We don't need to repeat that debacle.